This spray is a brilliant burst of color and light that honors a life full of joy and beauty. Remember your loved one with a solemn expression of your respect for them. 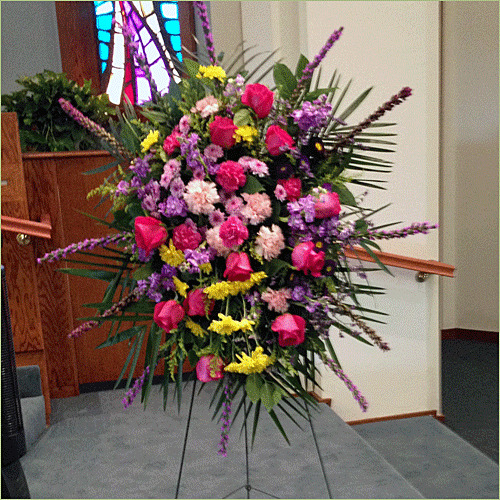 Express your sincerest sympathy with this beautiful standing spray. Standard Display includes 40 stems. Deluxe Display includes 50 stems.